Don't miss our upcoming events! We've got fun for all ages! Please note that all events and activities are weather dependent. Have you heard the news? 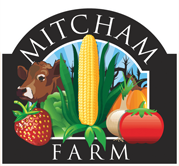 Mitcham Farm now has FRESH DONUTS! We're now offering delicious apple cider donuts and pumpkin donuts at our Farm Stand! Come visit us this fall to get your very own fresh-made donuts! Our Farm Stand also features boiled peanuts, kettle corn, fruit slushies, homemade jams, salsas, dressings, and more! It's officially strawberry season at the farm! Come on out and enjoy fresh berries, visity our farm animals, and more! Join us for our 6th annual Strawberry Festival! This event features fun for the family including strawberry picking, entertainment, food, craft vendors, kids' play area, and more. Come out in the fall for another season of fun! Don't miss our giant corn maze, pumpkin patch, hayrides, bonfires, and other fall activities! Join us Opening Weekend for a live and exciting Birds of Prey Show featuring falcons, owls, and hawks at 2PM and 4PM with Master Falconer and Naturalist Dale Arrowood of Winged Ambassadors. Enjoy live flight demonstrations as you learn about Georgia's indigenous birds of prey. Your admission includes access to the corn maze, Birds of Prey show, and many of our other attractions. Dress in your Cowboy best (if you wish) and come experience authentic western gun fights, chuck wagon cooking, jail wagon, and more. Your admission includes access to the corn maze, giant mountain slide, inflatable cow jumper, pedal carts, farm animals, and more. Bring your flashlight for extra fun in the maze after dark! Costume Contest: Those who dress up in Western theme may join in on a costume contest either day at 4PM for a chance to win prizes! Fun for the whole family includes craft vendors, fall activities, live music, helicopter rides (additional fee), and more! Your admission also includes access to the corn maze, giant mountain slide, inflatable cow jumper, pedal carts, farm animals, and more. More details coming soon! Join us for a live and exciting Birds of Prey Show featuring falcons, owls, and hawks at 2PM and 4PM with Master Falconer and Naturalist Dale Arrowood of Winged Ambassadors. Enjoy live flight demonstrations as you learn about Georgia's indigenous birds of prey. 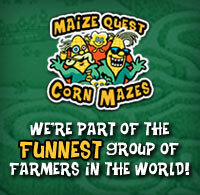 Your admission includes access to the corn maze, Birds of Prey show, and many of our other attractions.